For the people thinking about lake properties, you will likely be itching to know what you have to search for if you are selecting a home on the lake. Below, you will find some tips. Like in most realty investments, selecting the best community will help you define your field of search. With respect to property investments, retain the services of a realty agent to guide you on the way. They will include things like selecting the distinct local neighborhoods that may work for you. And, remember, work together with a lender so you are able to remain realistic on the price range. Once you find the lake property you are dreaming about owning, the next task to do is to examine it. All of this takes a little more time compared to regular properties. In addition, you can plan to fork out a bit more cash because there will be a number of home inspections you might want to put together. Listed below are some other notable things to take a good look at in regards to buying a lake property. We will begin considering the water on its own. A number of lake elevations shift significantly. Remember to find out the reports of the water levels in addition to whether or not your particular property has flood restrictions. If so, your insurance broker may look for a bit more data. Given that the place is inside a flood plain, they may require an elevation certificate. The property owner may already already have one available. Look into the home insurance requirements for this home address. A number of lakes come with the environmental limitations built in which will restrict the amount of as well as building of individual docks. Make a point to check the guidelines for these, despite that you have an established dock. A lot of homes may have their permit on hand, yet somehow never built the boat dock. It is good to check on these types of items well ahead of time. 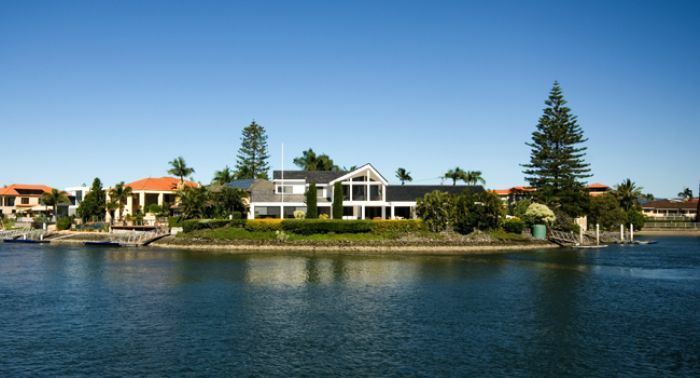 A few other situations tailored to waterfront houses should include things like your water privileges along with how far your property runs out into the lake. At the same time, check out which zones are actually shared places for that neighborhood and just what HOA fees pay for. You should also get spots pertaining to boat storage , local community docks not to mention boat launching places, in the event that the community offers you lake front however, not water access. Maybe you have found a terrific house and most is found to be in very good form. There is always yet another thing you should be familiar with. Check to see if they have a sea wall. If that is the case, get it examined using a general contractor. This may be a real mess if you have to replace it. And, you will want to confirm their sewer and well situation. The house may use a well and septic tank which means one more inspection. Keep in mind the house may also be on the neighborhood system. The property may have an individual well which often pulls water out of the lake for watering. As the future home owner, these are issues that should be taken under consideration. Many lake lots will be oddly shaped. Thus, just like virtually all property investments, always make sure to secure a survey of the place and title work done to the property or home well ahead of time. Last minute circumstances are not okay-plan ahead. The actual benefits that are included with the lake front home are clear. You have a sought after lifestyle, serene beauty, splendid sunrises and sunsets. Your only negative might be getting out of bed and going to the office every day, instead of lounging around at your own lake front home.